The RAF was formed on the 1 April 1918 with the amalgamation of the Royal Naval Air Service and the Royal Flying Corps.
" Of all the amazing object-lessons in personal bravery which Armageddon has given us, surely there is nothing more wonderful than the British flying man. All our previous standards of bravery and daring have had to be revised in face of the deeds of the boys in the R.F.C. and in the R.N.A.S. I do not think any of us who come into daily contact with the pilots and observers in our Air Service ever quite lose a sense of wonder when we come face to face with them. These boys of 18, 19 and 20, as they are for the most part, without any vestige of 'side,' all imbued with the desire that their splendid deeds should remain anonymous, are one of the miracles of the War.
" I wonder if those who read the daily bulletins issued by the Air Service as regards the fighting on the various fronts have any idea of what is entailed by the simple statement ' twelve enemy aircraft were brought down ' ? Spinning nose dives, tail-slides, side-slips, 'falling leaf,' looping the loop, and the many other 'stunts' entailed almost take our breath away.
" Whatever mistakes there may have been in the past owing to a lack of realisation of the outstanding part that aerial warfare was destined to play, it is very largely thanks to the bravery of the British airman that the Empire occupies its present position in the Air." The application of air power was developing beyond the immediate tactical use of aircraft by the Navy and the Army. At home the civil population had been on the receiving end of German bombing raids and the psychological effects of this was having a significant impact on politicians. Consideration was being given to the creation of a long range bombing force both as general retaliation and as a means of disrupting enemy war production. There were also continuing concerns about aircraft supply and priorities between the services, though these were increasingly better co-ordinated. 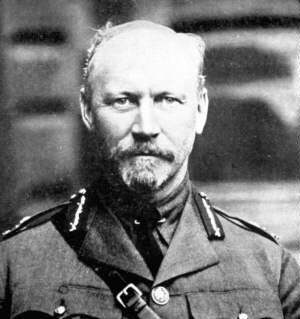 The Prime Minister, Lloyd George, commissioned Lt Gen Jan Smuts (the South African General he had asked to join the War Cabinet) to report on two issues: arrangements for Home Defence against bombing and secondly, air organisation generally and the direction of aerial operations. It was Smuts' report of August 1917 in response to the second of these questions that led to the recommendation to establish a separate Air Service. In making his recommendations Smuts commented that "the day may not be far off when aerial operations with their devastation of enemy lands and destruction of industrial and populous centres on a vast scale may become the principal operations of war, to which the older forms of miltary and naval operations may become secondary and subordinate". Given this new dimension he commented that it was important that the design of aircraft and engines for such operations should be settled in accordance with the policy which would direct their future strategic employment. On these grounds he argued there was an urgent need to create an Air Ministry and that this Ministry should sort out the amalgamation of the two air services. The War Cabinet accepted this recommendation and Smuts was asked to lead an Air Organisation Committee to put it into effect. Much of the detailed work was led by Lt Gen Sir David Henderson. The Air Force Bill received Royal assent on 29 November 1917 and Lord Rothermere was appointed on 3 January 1918 as the first Secretary of State for Air and an Air Council established. The future safety of the Empire is in the air as well as on and under the sea, and it is thus impossible to look into that future without being forced to the irresistible conclusion that, while armies as we known them nowand even fleetsmay disappear as a means of practical war, our aerial navies must and will continue to increase and multiply until the millennium, when there shall be no more war. The editorial did however go on to concede that: There may be some who think we go too far in this, and who hold that even in their highest development aircraft can be no more than an arm subsidiary to ground armies and fleets at sea. The German offensive on the Somme front continued. said about the work of the British airmen in the great Battle of the Somme until the necessarily fragmentary stories which are current to-day have been sifted and pieced together.
" I wish to express to General Salmond and all ranks of the Air Services of the British Empire in France my gratification at their splendid achievements during this great battle. I am proud to be their Colonel-in-Chief. 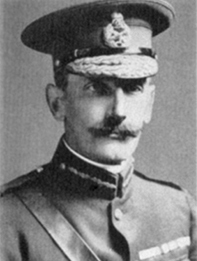 GEORGE R.I."
Maj Gen Sir Hugh Trenchard had tendered his resignation as Chief of Air Staff having disagreed with Lord Rothemere on his role in the new Service. This was accepted on 13 April and Maj Gen Frederick Sykes was appointed in his place. This then prompted the resignation the Vice President of the Air Council Lt Gen Sir David Henderson on the grounds that he could not work with Sykes. On 25 April Lord Rothemere resigned and was replaced by Lord Weir (Rothemere having indicated earlier that he might leave because of ill health, added to which his eldest son had recently been killed in action). Major General John Salmond continued in the RAF and succeeded Trenchard as Chief of the Air Staff 1930-1933 (being succeeded very briefly in that post by his brother). Lt Gen Sir David Henderson, regarded by Trenchard as the true father of the air force, died in 1921. The RAF had grown by the end of the war to an organisation of 290,000 men, 99 Squadrons in France (with 1800 aircraft), a further 34 squadrons overseas, 55 Home Establishment squadrons and 199 training squadrons, with a total inventory of some 22,000 aircraft.